The Estée Edit Fluid Metal EyeShadow Swatches | Top Beauty Blog in the Philippines covering Makeup Reviews, Swatches, Skincare and More! 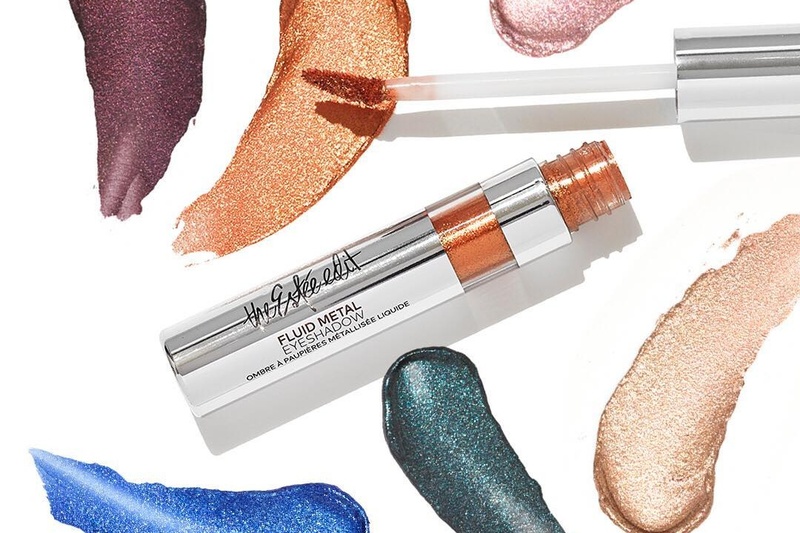 Here are the swatches of the new Estée Edit Fluid Metal EyeShadow – a high-shine, liquid eye shadow with a glossy, metallic finish for instant-impact eyes with 12 hours of non-fading, non-flaking wear. This liquid eye shadow is packed with pearls for a high-shine, glossy metallic finish—even when dry. Designed with a flexible slanted paddle applicator that precisely deposits the perfect amount of shadow. Creamy formula is buildable and smudgeable when wet, and dries down to set for 12 hours of non-stop wear that will not fade or flake. Apply it directly to your lids and allow to dry for full-coverage color, or blend while wet for a wash of translucent color. You can apply it with a liner brush and wear it as an eyeliner. Great swatches,shades speak dopeness .Great content and review. 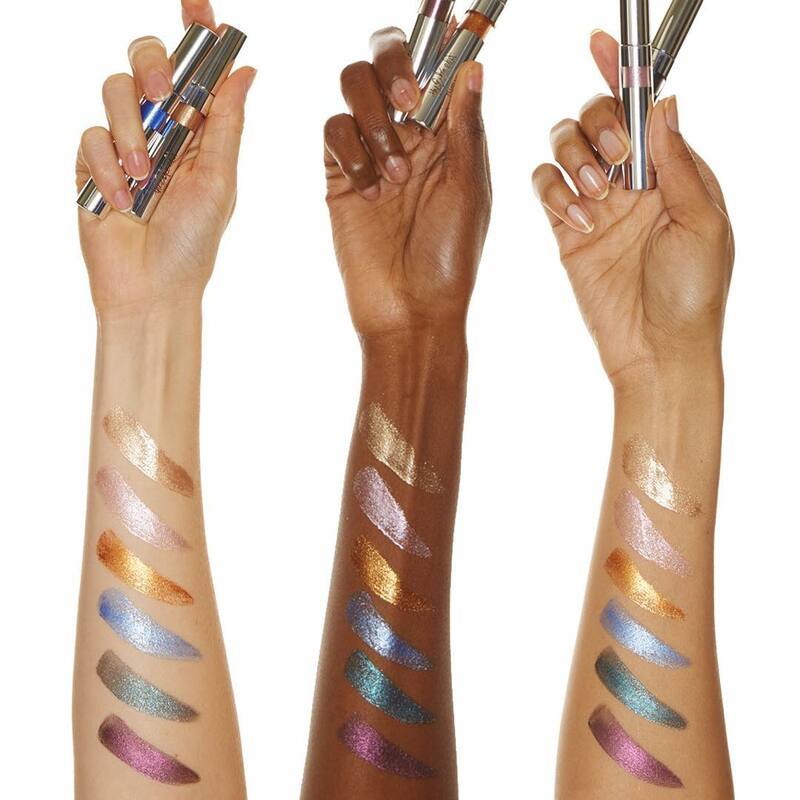 These look so sparkly and vivid! Oh wow I'm loving all of the beautiful shades. "Git It Bad" is the prettiest colour! This is metallic heaven for the eyes. 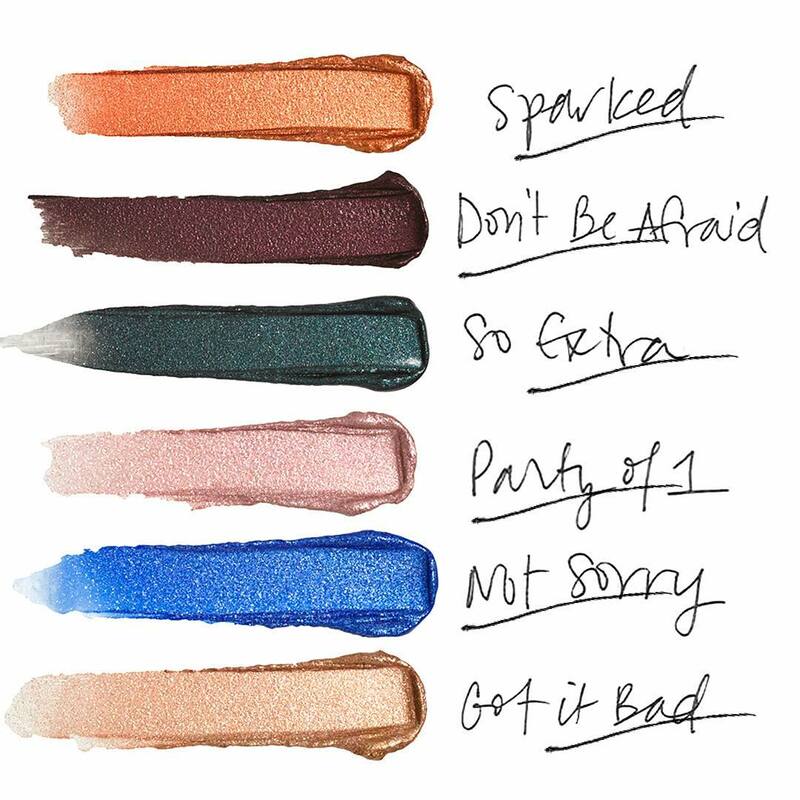 I love the "sparked" one the most. what amazing colours ♥ love them! Don't be afraid has my name written all over it. Lovely color! Been loving pearly metallics lately, fabulous collection!